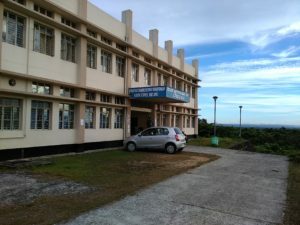 The Department of Earth Science was established in November 2009. The department envisions preparing Human Resources skilled in multi-disciplinary areas of the Earth Science and also to foster the cause of the discipline in the Nation vis-a vis the region. North East India has reserves of some of the largest Hydrocarbon (Oil and Gas) deposits known in the country along with a treasure house of various geological mileau. At the same time the region is highly vulnerable to natural hazards which include flood, landslide and earthquake etc. The department is committed to address these and various other fundamental and challenging issues of geological nature affecting the society. Placement will be organized in various institutes, research labs, industries, etc.